Customization is always a crowd pleaser. Handmade bracelets, homemade pasta, and personalized mugs, among other things, are known to get loyal followers that is why when the market started making “create your own” food lists, people actively listen and participate. Thus, the “Make Your Own Pizza” chains began and the world of dough tossing, pan swirling, and creative topping picking have never been the same. It became so popular that there is literally one pizza chain opened in all of the 50 American states. Of course, when there’s already several pizza chains that offer the once coveted novelty menu, getting the perfect slice becomes difficult. There are now several chains claiming they have the original “customized” pizzas but when you take a bite, it’s like eating cardboard with pizza sauce. The taste might even make you swear off pizzas for good. Fortunately, there are still some chains that offer highly personalized pizzas without compromising the taste. Chains such as Blaze, Pieology, and PizzaRev are here to make all your pizza dreams come true. The only problem will be, which one offers the best tasting customized pizza? With over nine signature pizzas such as the “Meat Eater”, a pizza goodness oozing with pepperoni, ground meatballs, mozzarella, red onions, and sauce; the “Veg Out”, a vegetarian’s dream slice with zucchini, red onions, mushroom, gorgonzola, and mozzarella; and the “Green Stripe”, a chicken fiesta drizzled with generous amount of pesto sauce, arugula, and roasted red bell peppers, this pizza chain is definitely one-of-a-kind. Since 2012, it’s Executive Chef and self-proclaimed “Pizza Whisperer” Bradford Kent has been making everyone happy with his freshly made-from-scratch, eco-friendly pizzas. Founded by Elise and Rick Wetzel, their vision was to turn the classical pie to a budding artisanal masterpieces. Soon enough, the crowd realized it was worth a try, even if they had to wait in line for as long as 30 minutes. Furthermore, NBA superstar announced that he will be lending his marketing power and name to the pizza chain as he “believes in the company, it’s vision, and how Blaze Pizza continues to provide authentic pizza at an affordable cost.” The basketball player was also excited in partnering with Blaze as he knows how good the owners are in running a business. Founded in the year 2011, Pieology Pizzeria can be considered as the first and real pioneer in the customized pizzas industry. The brainchild of Carl Chang, the story of Pieology is both inspirational and revolutionary. Chang started his vision in his own home with his wife and daughters, believing that quality food should be shared with people during quality time. Their “pie-lantophic” ways have also made it easier for people to fall in love with their pizza as the fast food chain helps them realize that pizza can somehow bring the best out of them. Pieology’s bigger picture involves feeding the entire community with delicious, artisan pizzas while bringing out the creativity and generosity in their customers. Furthermore, Technomic, the leading go-to source regarding the food industry, included Pieology Pizzeria in it’s elite “Top 500 Chain Restaurants” in the United States. Like a much-coveted Academy Award but for food, the chain’s inclusion in the list only ups their game among competitors. It is like stating the obvious only this time, it is backed up by a legitimate and credible company. Just like Blaze Pizza, PizzaRev was founded in the year 2012 by Nicholas Eckerman. With an impressive resume such as working together with John Zaner, the Executive Chef of Ritz Carlton, Eckerman was able to establish a fast rising pizza chain that has 4.5 stars review in Yelp, a food haven review site. Its tagline, “Craft Your Own”, is a definite approval to their pizza making prowess, providing delicious and satisfying slices to their customers. 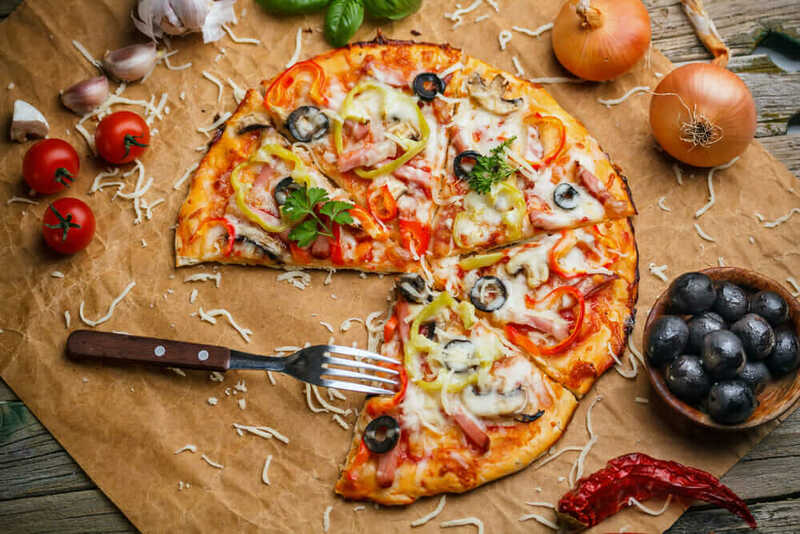 By letting their eaters get a say on even what type of dough to pick, they are able to gain loyal followers that work hand-in-hand with their excellent “pizza crafters” to get the best pizza experience ever. Furthermore, PizzaRev has gotten numerous awards including a back-to-back title of “Best Pizza” in Los Angeles as represented by the 2015 Readers Choice Awards. Besides the awards, most customers praise the staff and cleanliness of their chains, making PizzaRev a remarkable pizza joint that customers will love forever. Pieology is the leading pioneer craft pizza in the country but Blaze Pizza and PizzaRev are following suit. All three pizza joints provide interesting and memorable pizza experience but somehow, PizzaRev wins the heart of Yelp reviewers with a 4.5 star review while both Pieology and Blaze only have 4 stars. But of course, each pizza chain has it’s own unique quality to offer eaters. It is best to base the verdict on personal experience as a pizza may taste different to another person.